I’m honored to guest host the incredibly talented Shaun Allen. I think we started our indie journeys around the same time, and it’s been fun to watch his meteoric rise. His latest book is Darker Places. Read the other posts on his tour at the Darker Places Tour Hub. I’ve spent the last few weeks really looking at my social media profile and talking to my friends about the things that horrify them. Which, to be honest, is how I’ve always spent my time online! Many years ago, when I launched Sin, the indie community was just pulling itself together. I really enjoyed making friends and talking writing, but I watched other writers spend their time in different ways, and I wondered if it worked. I briefly looked at posting to the groups everyone was using, and to be honest, it kinda felt like it wasn’t worth it, even back then. 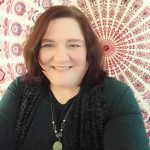 While others were posting the same stuff, over and over, I used my blog to feature other writers, and began writing on Wattpad. Wattpad, which receives over 14 million unique hits a month, has been an amazing place to share my writing. I’ve received humbling comments, a massive number of reads and been given fantastic opportunities – not least being commissioned to write for NBC Universal. They call me one of their most influential writers, something which is mind blowing, and continue to include me in their ongoing new ventures. When I’m asked for my one big tip about promoting, I tell people to stop looking at their social media as a mine for sales that they’ve got to slog at to dig out, and find maybe one or two willing buyers for a lot of effort, and instead treat social media as a place to be social, connect and to talk about books. I’ve spent a lot of the last few weeks talking about Darker Places, it’s true, but I also share memes from the hairdresser I recently purchased with my wife, about the books that I’ve been enjoying by others, sharing funny and interesting stuff and giving back where I can. Looking at the other successful writers around me, they’re doing a lot of the same things – some of them talk about other businesses, in conjunction with their books, some just talk books, but every single one of my successful friends use social media to be social. Social media is one of the biggest places that we can make friends and influence people, but it’s important to me to make sure that it’s not all ‘sell, sell, sell’. Instead, my social media leads to my pages, my pages lead to my newsletter and blog, and everything leads back to hanging out and having fun. I’ve made many friends on my journey, and I learn something new every day. And I get to hang out with some of the most incredible writers out there. 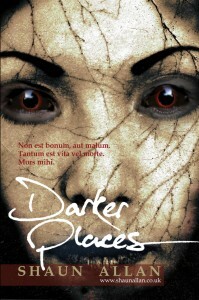 Shaun’s latest book is Darker Places. Read the other posts on his tour at the Darker Places Tour Hub.